The Canton Fair is a trade fair held in the spring and autumn seasons each year since the spring of 1957 in Canton (Guangzhou), China. It is the oldest, largest, and the most representative trade fair in China. Its full name since 2007 has been China Import and Export Fair. The fair is co-hosted by the Ministry of Commerce of China and the government of Guangdong Province, and organized by China Foreign Trade Centre. The National Pavilion (export section) of Canton Fair is sorted into 16 categories of products, which will be exhibited in 51 sections. Over 24,000 of China’s best foreign trade corporations (enterprises) take part in the fair. These include private enterprises, factories, scientific research institutions, wholly foreign-owned enterprises, and foreign trade companies. The fair leans to export trade, though import business is also done here. 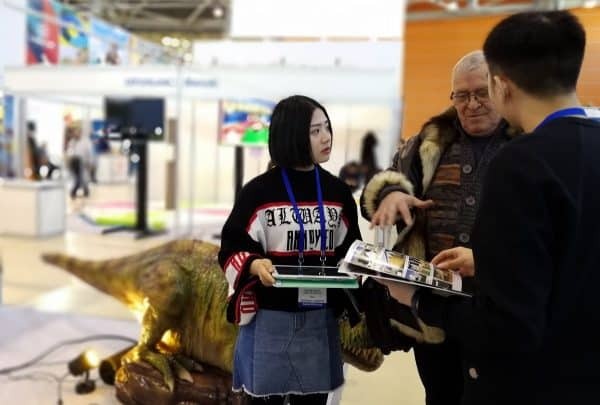 Apart from the above-mentioned, various types of business activities such as economic and technical cooperation and exchange, commodity inspection, insurance, transportation, advertising, and trade consultation are other activities that are also commonly carried out at the fair. This is our first time to attend Canton Fair, and we will be there ever since. This entry was posted in News and tagged Canton fair.